Following her suggestion in this week’s column, I harvested a sampling of six-to-eight-inch long tips from the rambling vines of Buttercup, Delicata, Eastern Rise, Nutty Delica, and Potimarron. 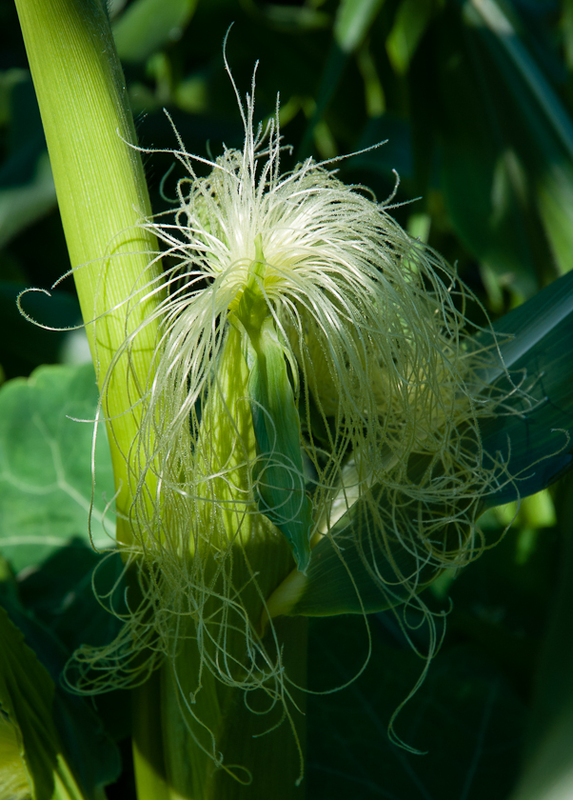 The Delicata tips were softest while the Potimarron tips, which had also traveled the farthest, were a bit spiny along the stems and coarser across the leaves. Curious about how each would taste, I cooked them separately, chopping each into inch or less pieces and steaming them in a little olive oil and water as Damrosch suggests. The spiny, coarser tips took a little longer to cook and were less tender than the softer tips but all were ready to taste in five minutes or so. 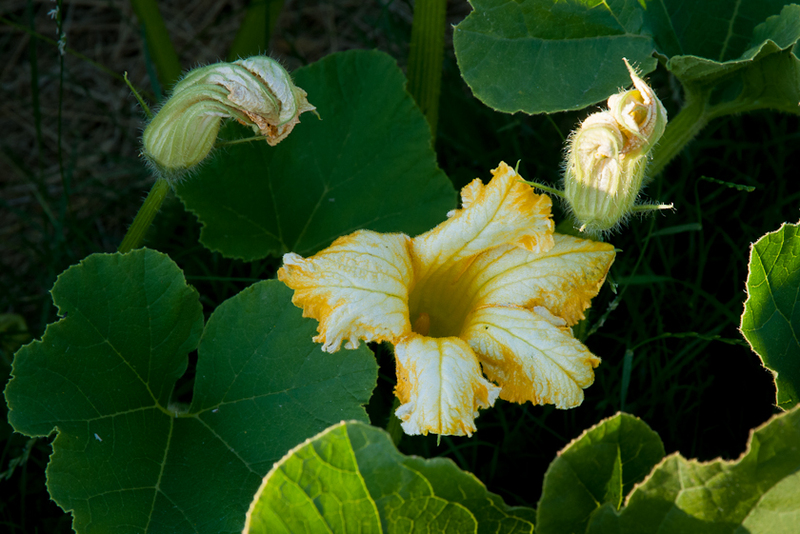 They have a delicate, herbal squash flavor and would be perfect on pasta, in a frittata or simply as a side dish. 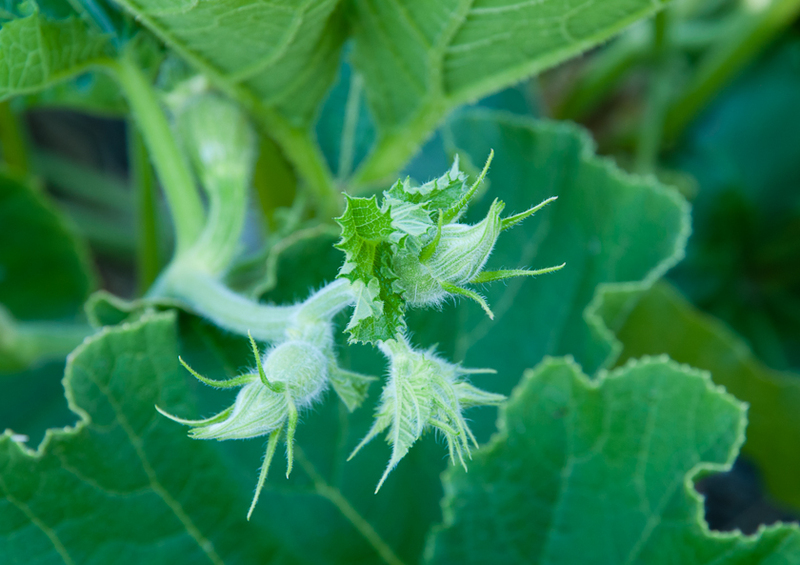 They’d also be a wonderful addition to that other squash part, the blossom. 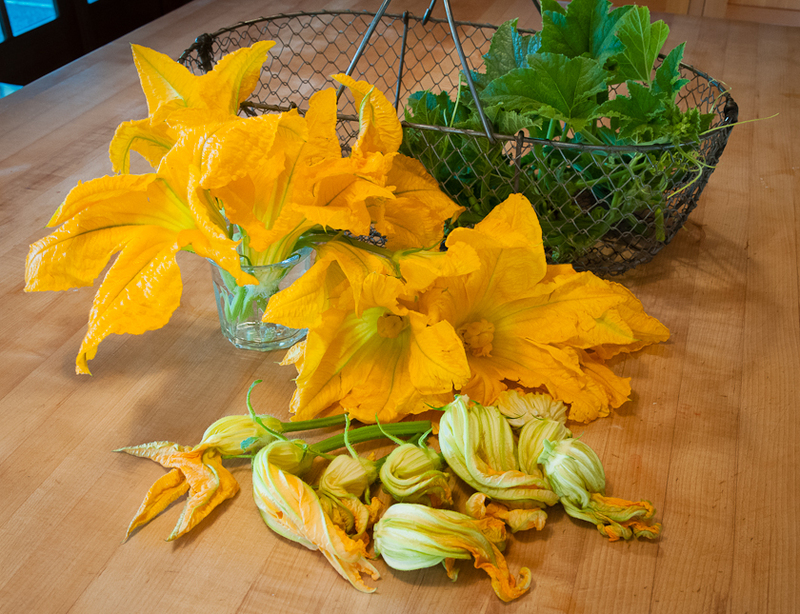 There were lots of zucchini flowers blooming near the winter squash and I couldn’t resist gathering some for another kitchen experiment: fresh stuffed zucchini blossoms. Last month, my favorite New York Times food writer Melissa Clark shared her recipe for this delicious variation on the classic fried zucchini blossom: http://www.nytimes.com/2012/07/11/dining/enjoying-zucchini-blossoms-without-cooking-a-good-appetite.html. 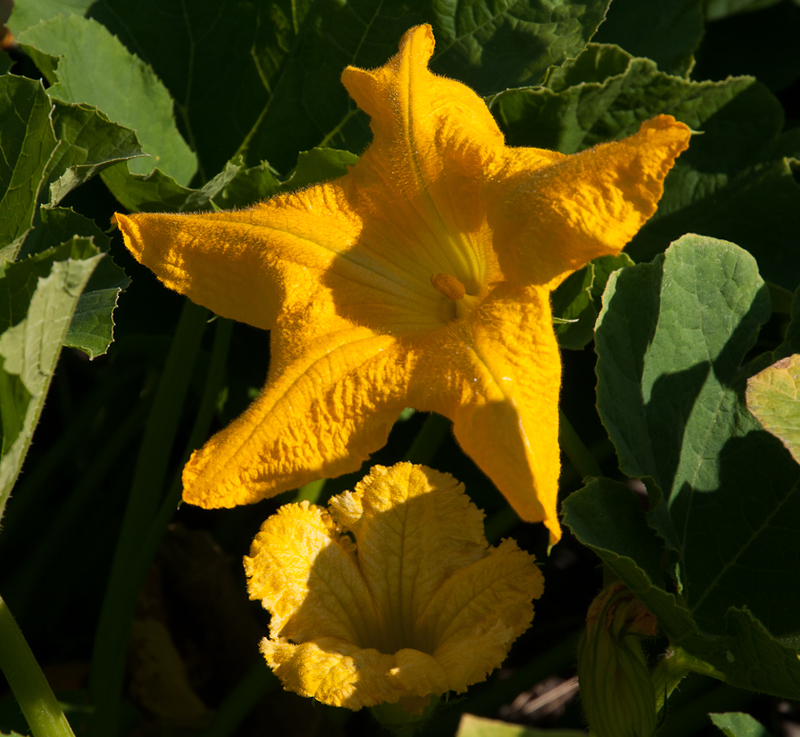 Her version is so much easier than the fried version and really features the delicate squash flavor of the blossoms while preserving their beautiful colors. She suggests stuffing the fresh blossoms with soft goat cheese, ricotta, buffalo mozzarella or burrata, a very soft cheese made from mozzarella and heavy cream. To the burrata stuffing she also added tapenade. I had none of these fillings but I did have some very thick yogurt and some basil pesto. Mixed together, these ingredients made a creamy, delicious filling, sharp from the yogurt and rich from the pesto. The resulting stuffed blossoms were a beautiful hit. I served them with a little pile of tasty sautéed Delicata vine tips. I hadn’t used up the pile of zucchini blossoms so I turned to a second recent recipe, this one from another excellent recipe source, New York Times “Recipes for Health” writer Martha Rose Shulman. She calls it Sabine’s Stuffed Zucchini Flowers: http://www.nytimes.com/2012/08/08/health/nutrition/sabines-stuffed-zucchini-flowers-recipes-for-health.html. 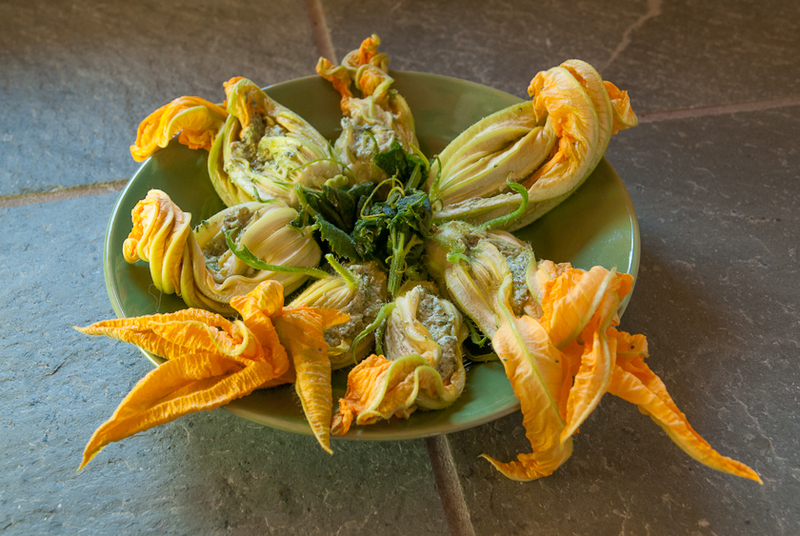 It’s almost as easy as Melissa Clark’s fresh stuffed zucchini blossoms. The stuffing is a mixture of fresh breadcrumbs softened in milk, egg, sautéed onion, garlic and zucchini and fresh herbs. 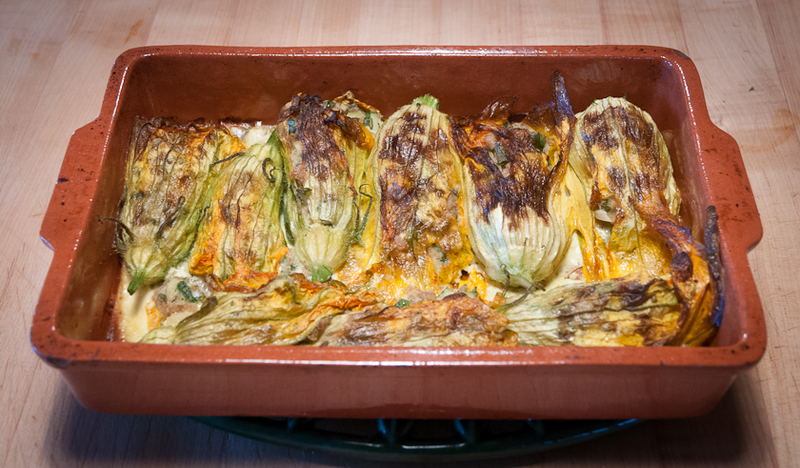 The recipe describes how to fill the zucchini flowers with the stuffing, wrap the petals around the stuffing, lay the flowers in a baking dish and lightly brush them with olive oil. They bake at 375 for thirty to forty minutes and come out lightly browned and beautiful. I’ll definitely try this baking technique again though next time for filling I think I’ll use sautéed squash vines instead of zucchini. It seems like a perfect way to wrap vines and blossoms into the same dish. 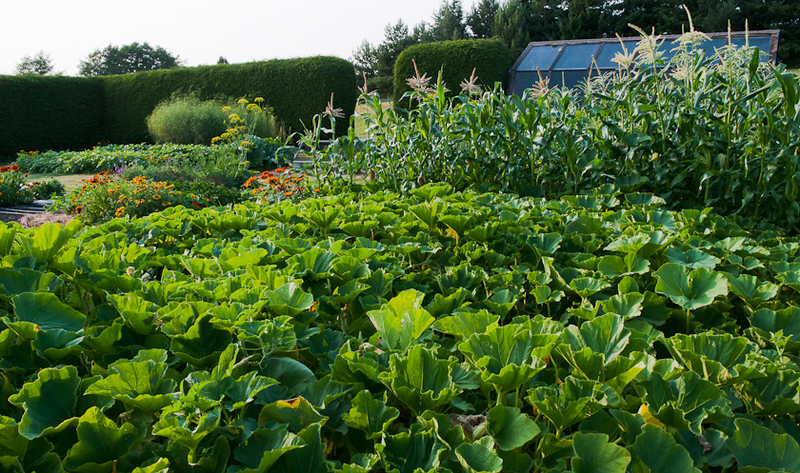 The August kitchen garden overflows with rambling squash vines, stretching corn stalks, climbing pole beans, branching eggplants, all pushing outward and upward, obscuring the edges of beds, running up and over trellis supports, pushing the sides of hoop houses. 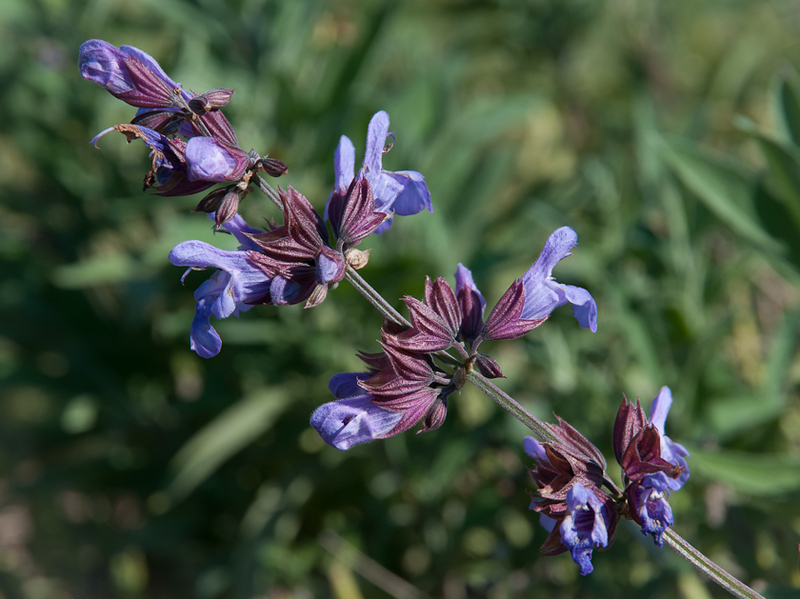 The late summer harvest is still some weeks away but the coming abundance is visible everywhere, especially in the blossoms that layer their colors over the green of the foliage: yellow trumpets of winter squash, pink and white bean blossoms, pale silk of corncobs, lavender flowers of eggplant. There’s anticipation of wonderful meals ahead but on early morning strolls through the garden the immediate pleasure is simply the beauty of the blooming plants. 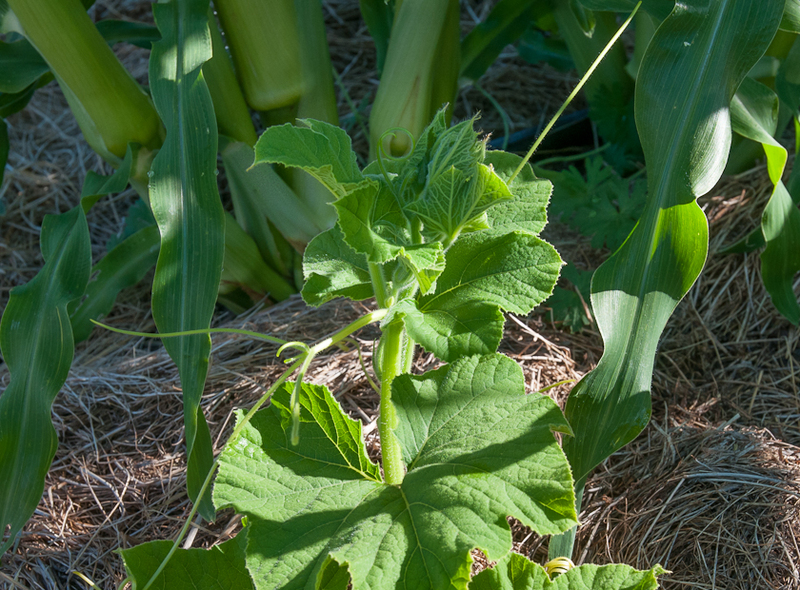 By this time of year, sprawling winter squash vines have made their way into and through the neighboring rows of corn, weaving the beds together, mixing blossoms and silks. 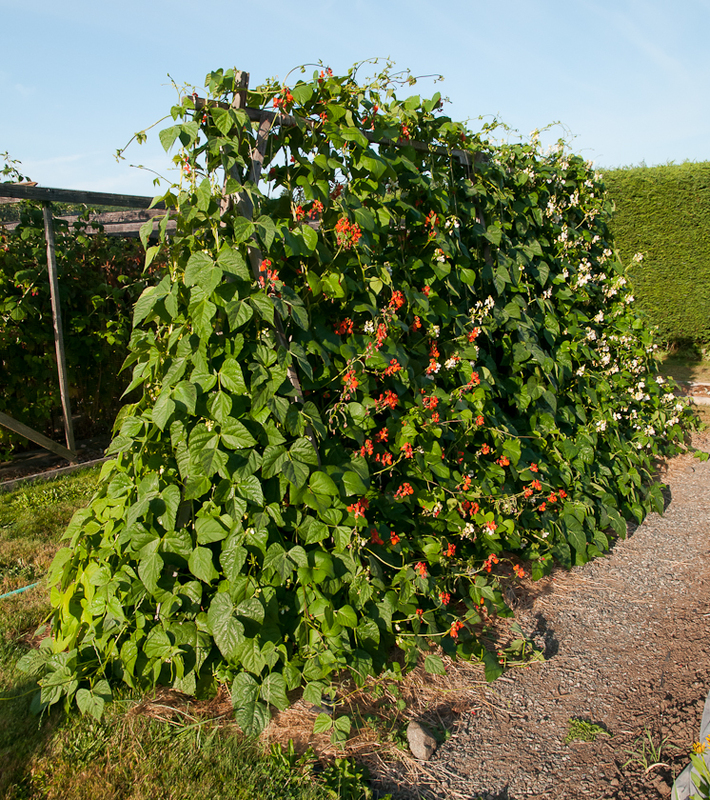 Pole beans climb their assigned strings but reach out to other strings too, sometimes leaping across the trellis from one side to the other, tangling colors. 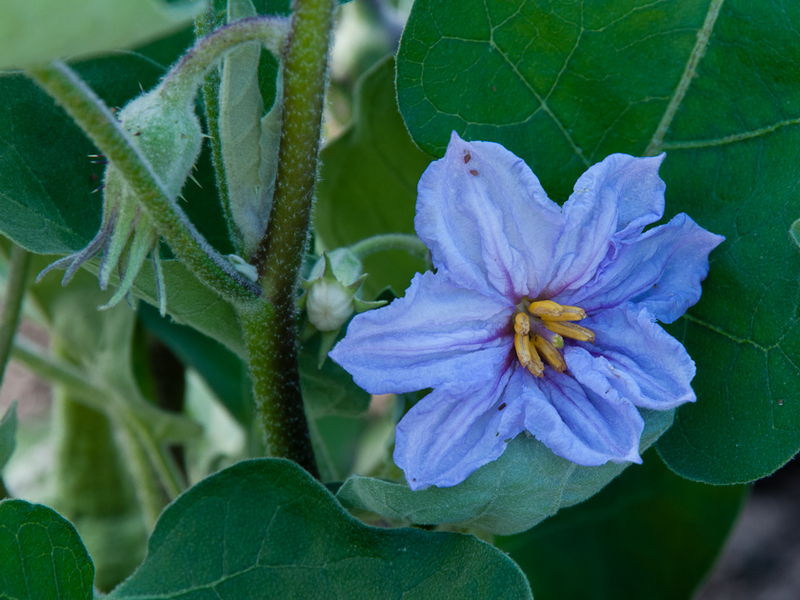 Only the eggplant flowers stay put, close to the stalk. 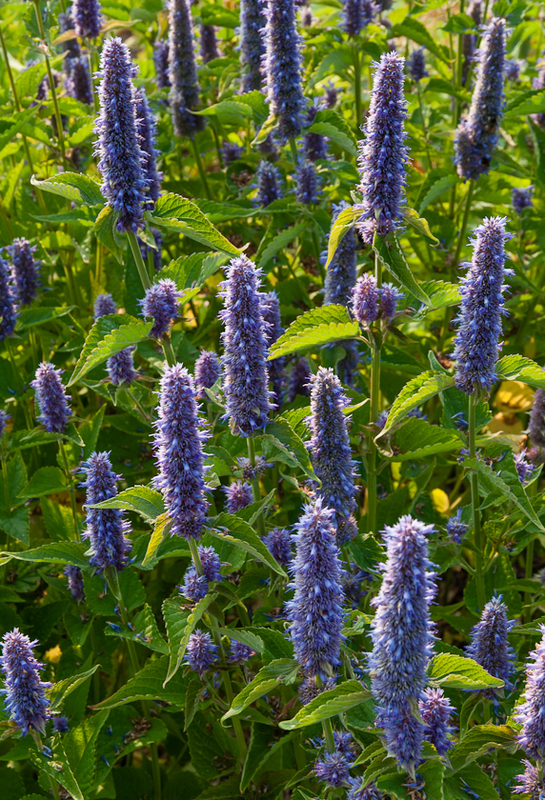 Perennial herbs anise hyssop and sage bloom in the same spot each August, their purple spikes tall against the green, but the location of annual dill is always a surprise, no doubt because I let it go to seed, curious to see where it will turn up the next year. The yellow umbels rise like bursts of fireworks across the garden landscape. And finally there are the traditional flowers, gloriosa daisies (Rudbeckia gloriosa) and nasturtiums that return each summer with just a little help from me. Years ago, I planted seeds of both. 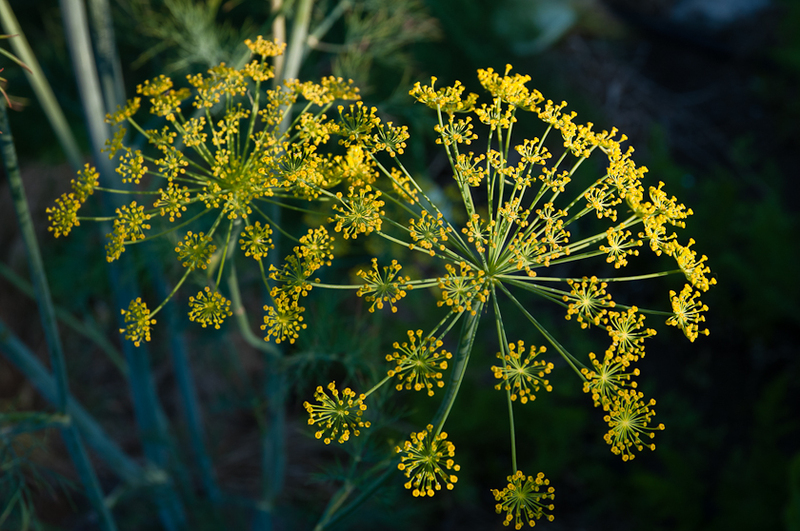 Vigorous self-seeders like the dill, they reappear in the spring and I let them grow. I’ll often transplant the daisy volunteers to irrigation emitters at the ends of beds but just as often I’ll simply leave them to thrive like the nasturtiums where they will. 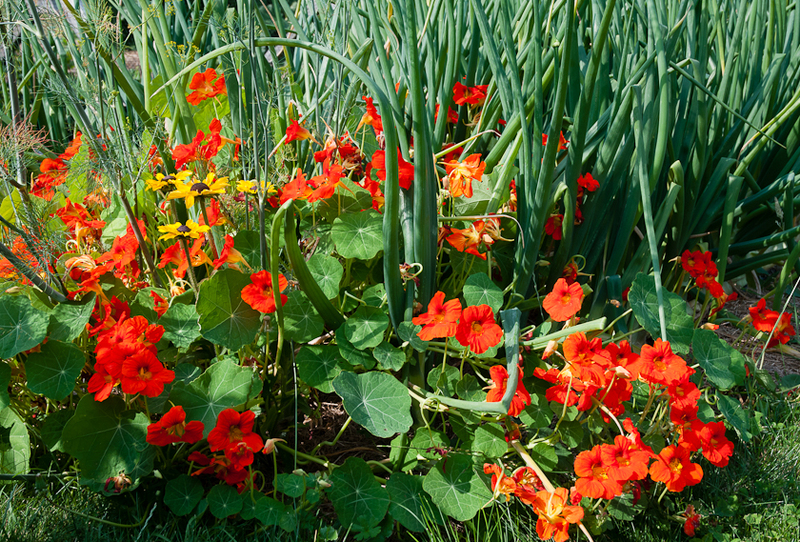 I love their strong colors: the yellows, oranges, rusts and blacks of the rudbeckias and the oranges, reds and yellows of the nasturtiums. 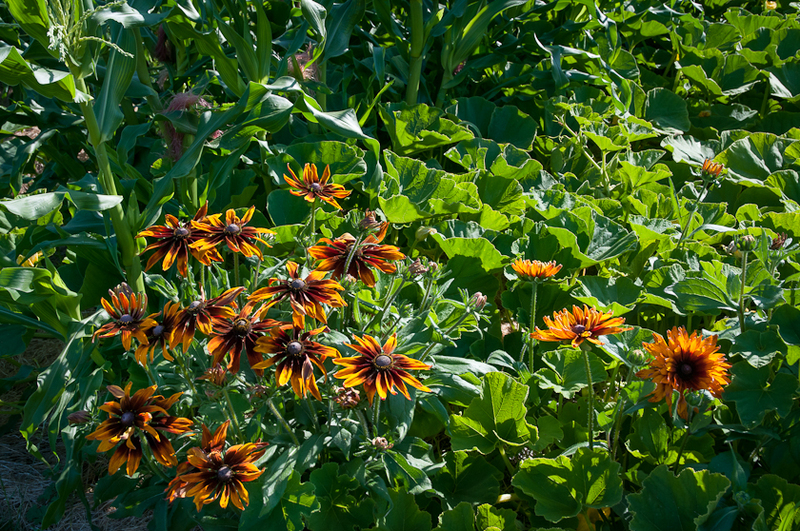 And I love their contrasting habits: the upright branching rudbeckias dominating a single spot and the spreading nasturtium vines traveling down rows and across beds, adding blossoms other plants’ foliage. 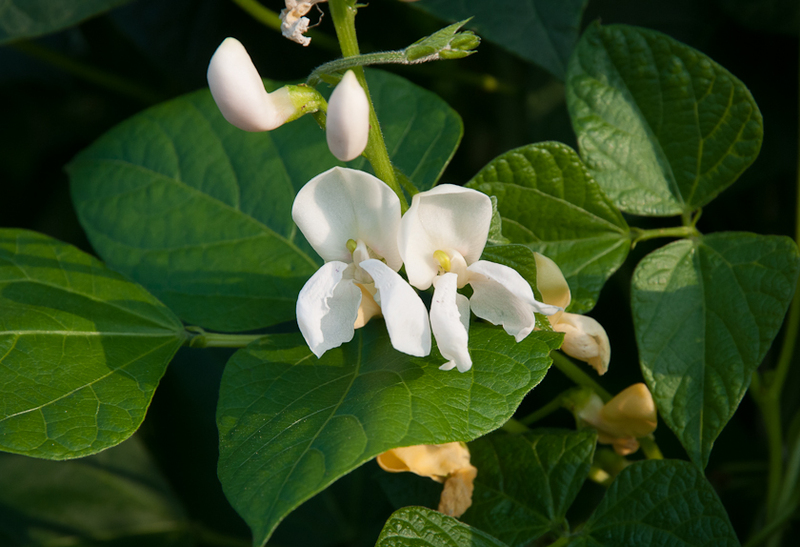 The earliest of the vegetable blossoms have already fallen, giving way to the first swelling squashes and eggplant and to lengthening bean pods. Soon the rest of the vegetable blossoms will give way as well, but for these early weeks of August, these blossoms transform kitchen garden into a glorious bouquet.